Plants are living beings and each has its own voice. What was it that first called you to listen to the language of our photosensitive friends? Perhaps it was the voice of the dandelions and white clover made into flower crowns or handfuls of bouquet for a loved one. Maybe the voice of honeysuckle calling you to taste, to enjoy its bounty and sweetness and be one with the bees for a while? If you’ve been called to herbalism or just to gain a greater understanding of the plants around you, it helps to start with learning how plants work. Basic botany is a useful skill to study even as you take time to open to the spirit voices of the plant world. The Herbal Academy is about to launch a new program – the Basic Botany and Wildcrafting Course. This online class will explore plants and the ecosystem, characteristics of plants parts and identification, and basic identification of botanical families and patterns in nature. Their classes will address ethical wildcrafting and other important factors to consider in conservation. The course won’t start until May, but you can enter a giveaway to win a free enrollment, starting now! Giveaway ends on April 17, 2018. 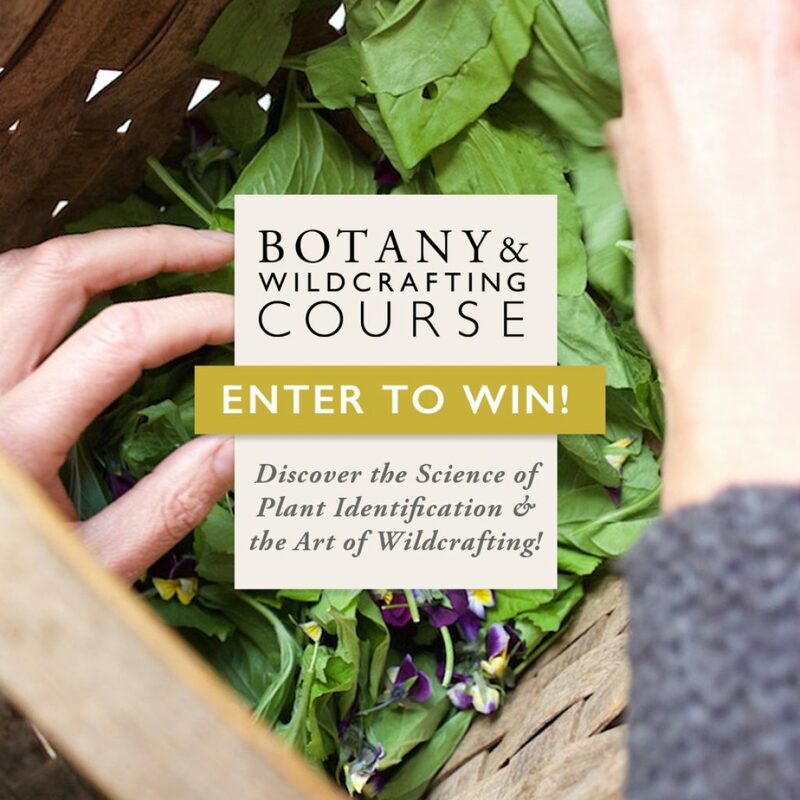 Pre-Registration for Basic Botany and Wildcrafting Course begins on the same day with a discounted price! ← Oh March, you bittersweet month!